Product & Services - K.M. 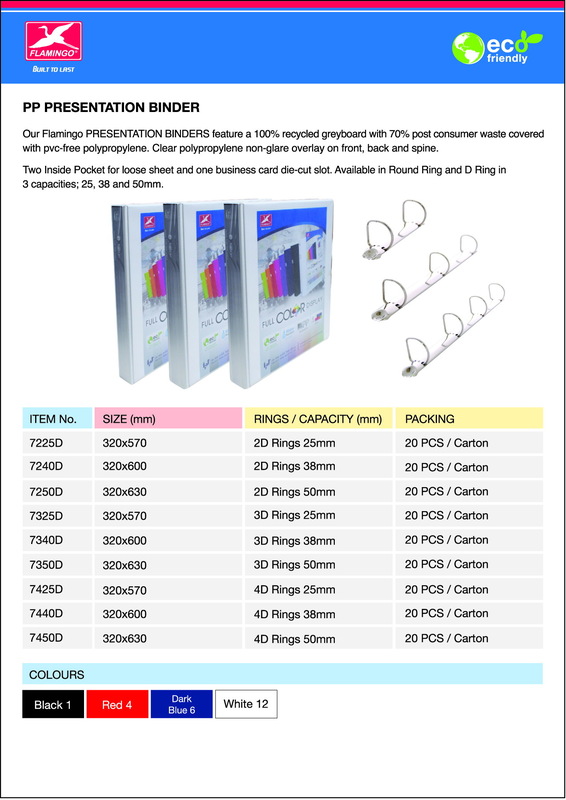 STATIONERY INDUSTRY CO.,LTD. 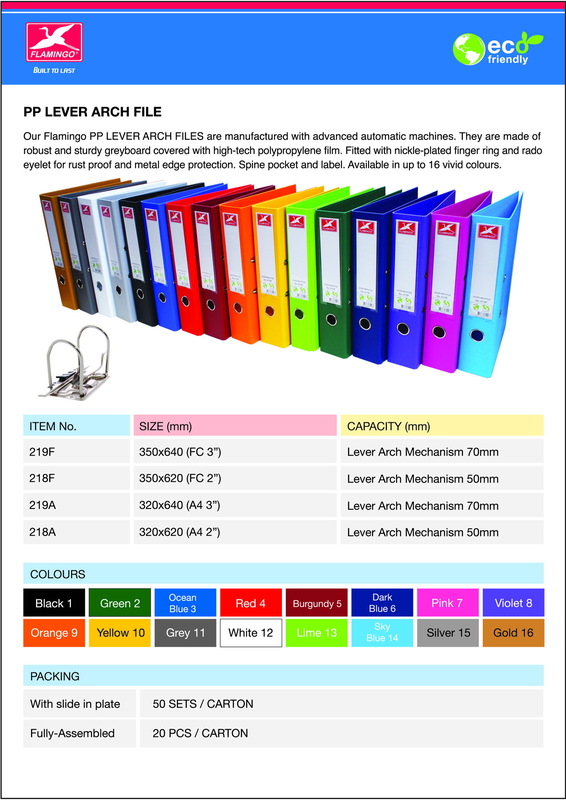 We are a manufacturer of world-class design filing products for offices and personal uses. 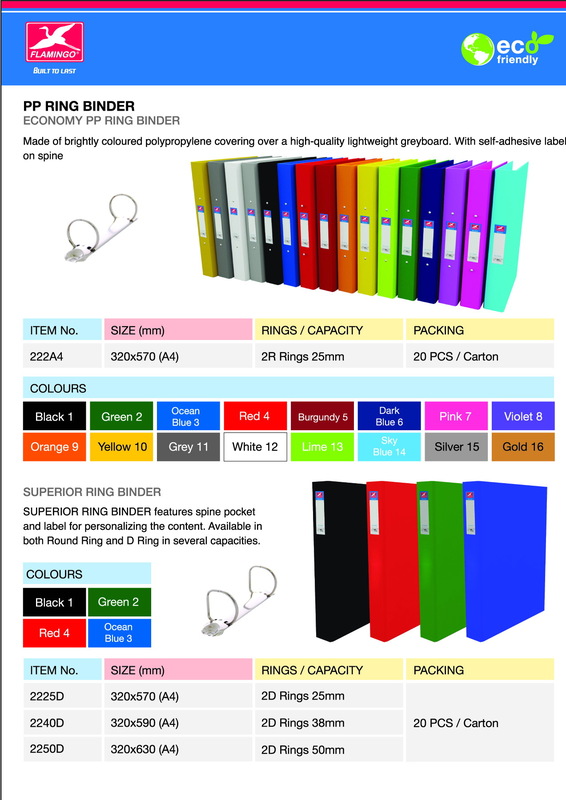 Our manufacturing facility can produce high quality lever arch file, ring binder, PP file, PP holder, PP bag and PP accessories. ​Our proprietary products are produced under brand "Flamingo". ​In addition to standard items, we can also service you with customized design and premium gifts product for any special corporate event and occasions.